Shantou Institute of Ultrasonic Instruments Co., Ltd. (SIUI) has been engaged in the development and manufacture of medical ultrasonic diagnosis scanners, industrial ultrasonic detectors and ultrasonic transducers since 1978. Starting as a small scientific research institute, SIUI has developed into a key high-tech corporation at the national level, and is the leading manufacturer of ultrasonic instruments in China. amounts to 5,000 ultrasonic scanners and 10,000 transducers. 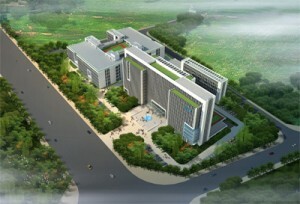 SIUI takes the lead in attaining ISO9001 cetification, FDA clearance and CE marking in China. Due to the high ratio of performance to price as well as the guarantee on quality, the products are exported to over 80 countries and areas around the world. The market share continues to improve. SIUI is working in medical devices and nondestructive testing industries, both of which are in the prime time for development. With the growth of economy and the improvement of living standard, the increasing call for health and safety leads to more demand for products in these two industries. As a leading company in this field, SIUI has a brilliant future. With an aim of developing into a bigger and stronger corporation, SIUI will seek a bright future by restructuring and going public. SIUI commits itself to maintain growth in the field of medical devices, integrate enterprise resources and make a greater contribution to the progress of national ultrasonic instruments. SIUI is looking forward to a hopeful future!